Now that September is here, the NBA off-season that brought us more twists and turns than a sketchy carnival ride is nearing a close. Between KD, Derrick Rose, Al Horford and others, there is a whole lot to digest before the 2016-17 season gets underway. 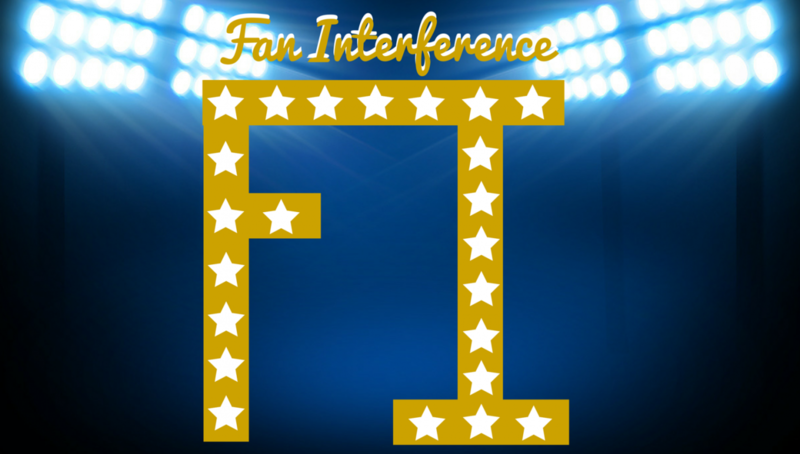 Being the inquisitive people we are here at Fan Interference, we set out to rank the 5 most interesting teams to watch in the upcoming season. Keep in mind this isn’t about wins and losses. Just because something is going to be ugly doesn’t mean it won’t be fun to kick back and watch. Why do you think people stop and look at car crashes? Anyways, here are the most interesting teams for the upcoming season. Early on in the off-season, the Celtics were a dark horse pick to land Kevin Durant. When Tom Brady shows up to your free agent meeting, good things usually happen. Though it was reported that Brady’s presence at the meeting had a big impact on Durant, it wasn’t enough to get him in a green uniform. However, the Celtics scored big with the acquisition of Al Horford, a former star on the Atlanta Hawks. While Horford isn’t the superstar that Durant is, he fits in well with the Celtics and coach Brad Steven’s vision. The Celtics are projected to be one of the better teams in the Eastern Conference this season, and monitoring Horford as he settles in to the new role will be fun to watch, espescially for the Boston faithful. While it is still entirely plausible that they lose over 60 games, this isn’t the same 76ers of last year. With Ben Simmons coming in as a rookie with much expected of him, the entire dynamic of the Sixers has changed. Their roster reads like a team that will be great in a few years; Jahlil Okafor, Nerlins Noel, Dario Saric, Ben Simmons and Joel Embiid are all very young and have a lot of potential. That last name, Embiid, will be particularly interesting to watch; he hasn’t played in an NBA game since being drafted 3rd overall in 2014. If Embiid can stay healthy and stay away from fast food this season, he could be a major player on a team that is looking to build an identity (and has been since Allen Iverson left). The big headline here is Dwyane Wade. Nobody expected the king of Miami to leave, including Pat Riley. Additionally, the Bulls brought in Rajon Rondo, who has fallen off to say the least since his glory days with the aforementioned Celtics. With Wade, Rondo and Butler, the Bulls have a cheap version of a Big-3 with some glaring chemistry issues. It is no superteam, heck, maybe not even a good team, but it will be a hell of a lot of fun watching the power struggle between Butler, an incumbent Bull who looks to be the new leader, and Wade, a native of Chicago and 3 time NBA champion. Rondo is always a wild-card, but there might be a sliver of hope that the three of them can hit it off and the Bulls can be a contender in the Eastern Conference. The Knicks made waves this offseason by acquiring Derrick Rose, Joakim Noah and Courtney Lee. The running joke here is that this team would’ve been great in 2010, but there could be some upside to the New York Knicks this season. Rose is certainly giving us no shortage of entertainment, claiming that this year’s Knicks are a “super-team”. As if there wasn’t enough pressure on the former MVP to finally start producing on the court again. That being said, if Rose is somehow able to recapture the magic of his MVP season, that would make for a lethal combo with Carmelo Anthony, who is aging but still shows he can produce at a high level. It’s kind of an anticlimactic number one pick, but the Warriors will just be too damn interesting to ignore. With the addition of Kevin Durant (which is still hard to fully wrap your head around), the Warriors have somehow managed to make themselves even better than they were before. That being said, the Warriors have made a big change that may take some time to come to full fruition. Adding a super star to play with other great players like Steph Curry, Klay Thompson and Draymond Green may take time to maximize their efficiency. Should the warriors stutter out of the gate, it makes it all the more interesting. Don’t get caught up on wondering if they can win 74 games. They won’t. That will become very apparent early on. My predicton is that the Warriors begin the season around the 20-8 mark. After that, they will hit a stride, but these things take time. Patience, young grasshopper.